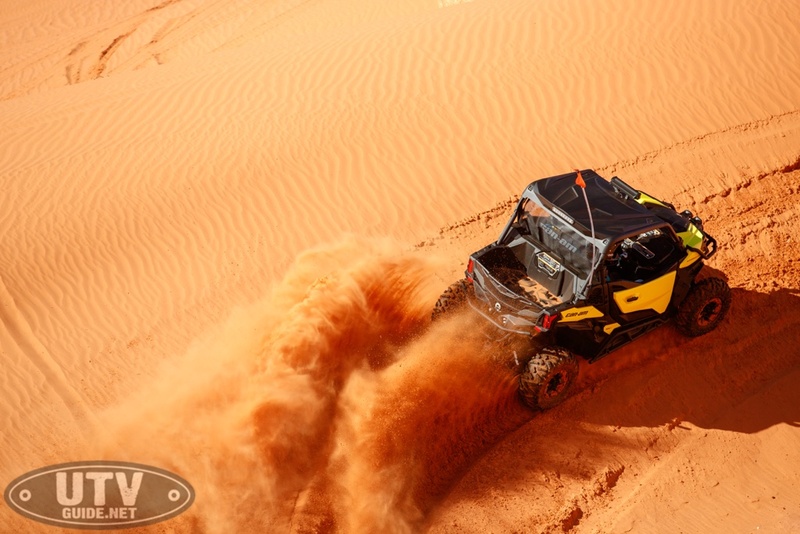 Can-Am, upholding its promise to refine its side-by- side vehicle family by the year 2020, continues its aggressive approach in the off-road market with the introduction of the all-new Maverick Sport family. This true 60-in. 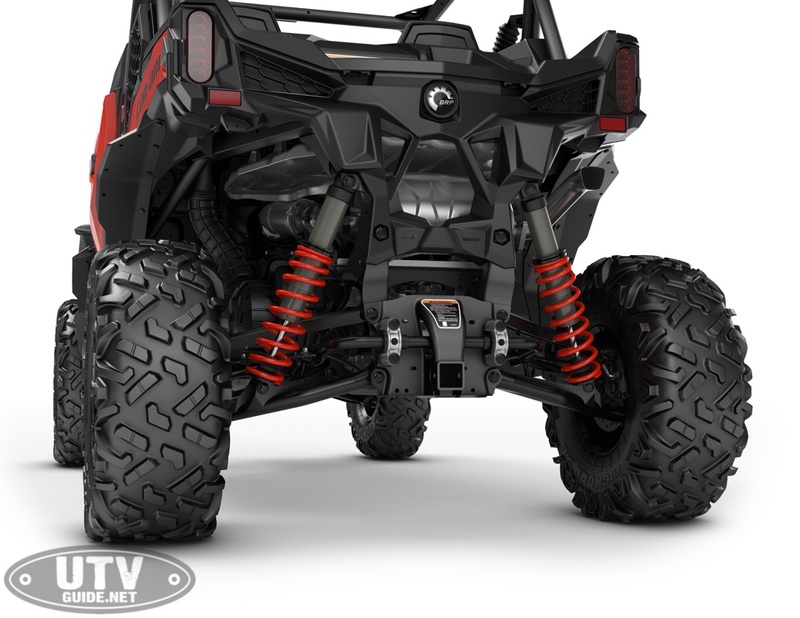 (152.4 cm) class performance side-by- side vehicle arrives with both Maverick X3 and Maverick Trail undertones and, of course, innovation to set it apart from the competition. 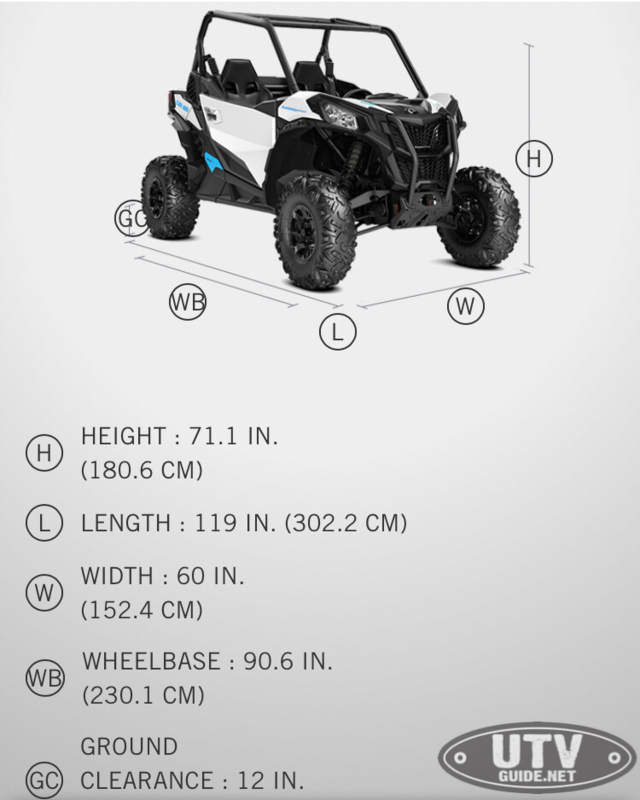 Arriving with the most desirable and adaptable width for off-road environments, the Maverick Sport is engineered with a daring, precise and confident design to better equip trail enthusiasts in their terrain-conquering adventures. 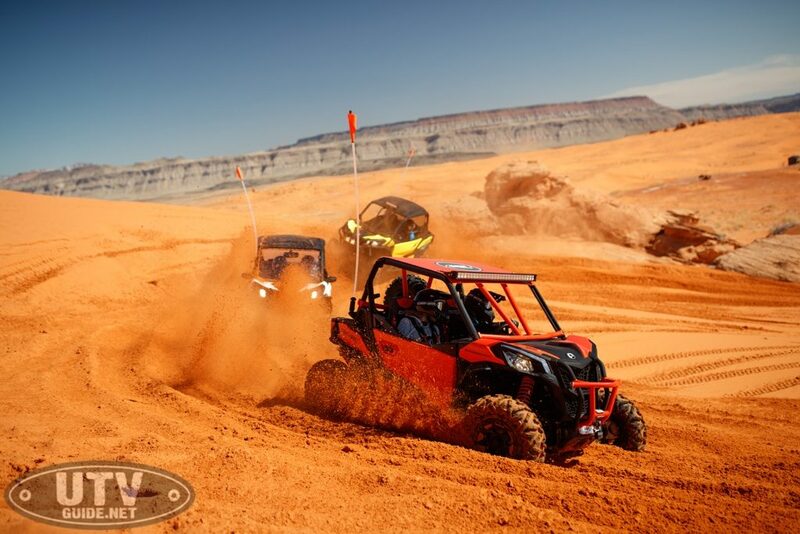 This thrilling family of Maverick side-by- side vehicles will tick the emotional needle further in the direction of pure enjoyment — no matter the end use. 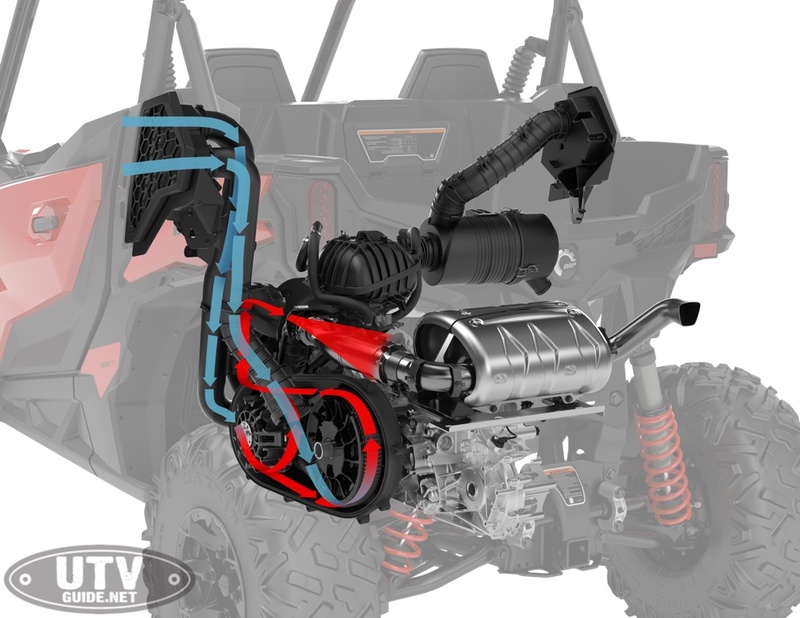 Much like the Maverick Trail vehicles, the Maverick Sport family’s engine is mated to a CVT type transmission with QRS (Quick Response System) that includes P/R/N/H/L ratios ideal for trail performance. 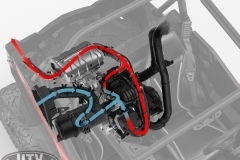 The CVT also features Electronic Belt Protection for peace of mind. 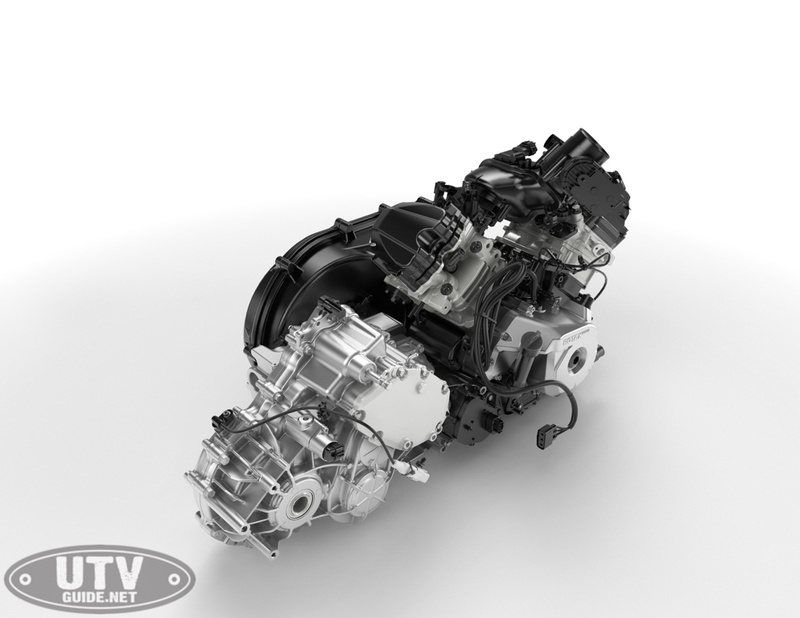 A hardy gear- on-gear rear differential and helical gear transmission is both durable and quiet. Utilizing the same, stable 90.6-in. (230.1 cm) wheelbase proven with the Maverick Trail family vehicles, the Maverick Sport offers a spacious cockpit, enhanced ergonomics and better ride qualities than the competition. 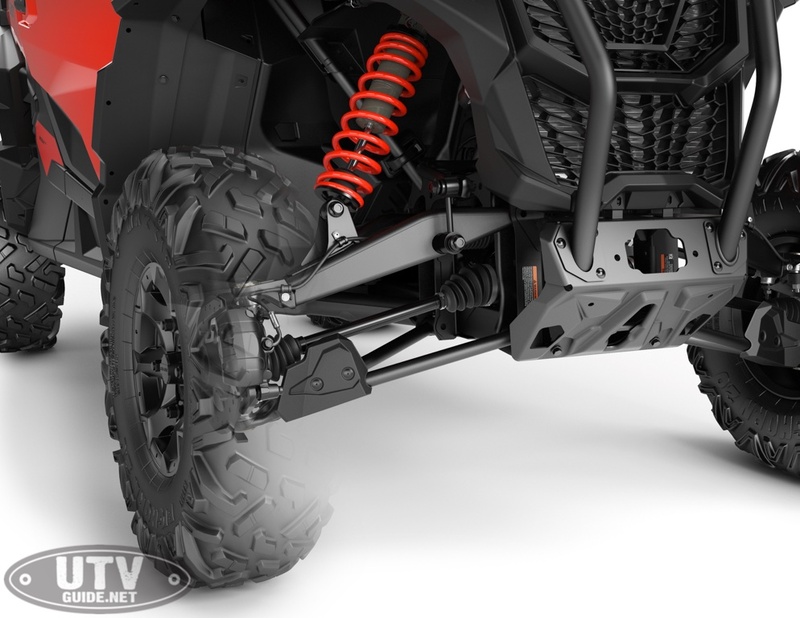 Steadfast engineering resulted in a low seating and optimal front-to- rear weight distribution to generate predictable handling and ample ground clearance for a wide variety of terrain. A supple suspension setup, complete with a Double A-Arm front suspension, Torsional Trailing Arm (TTA) rear suspension and FOX 2.0 Podium shocks, improves the vehicle’s capabilities and handling without comprising comfort. Recreational riders and performance enthusiasts each demand onboard storage and the Maverick Sport side-by- side vehicles reward them with cleverly-placed stowage for gear and supplies. A large tow rating and class-leading fuel tank means long excursions and weekend getaways are commonplace. All Maverick side-by- side vehicles are known for their spacious, well-designed cockpits that come standard with low-stance ERGOPRINT seats. 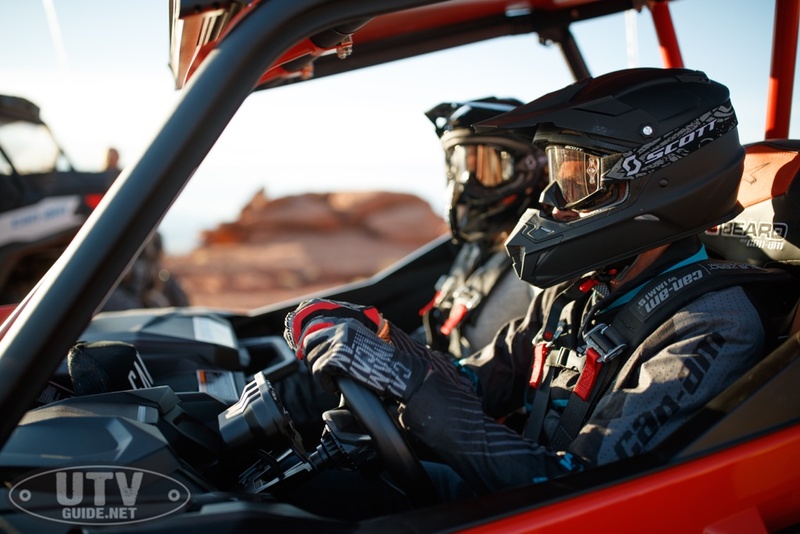 Onboard conveniences, integrated ergonomic improvements, added protection, half doors and driver’s side adjustability heighten the off-road driving experience and have set the bar for side-by- side vehicle comfort. DPS 1000R). The vehicles are available in three color schemes: White (base 1000), Can-Am Red (DPS 1000, DPS 1000R) and Sunburst Yellow (DPS 1000R). 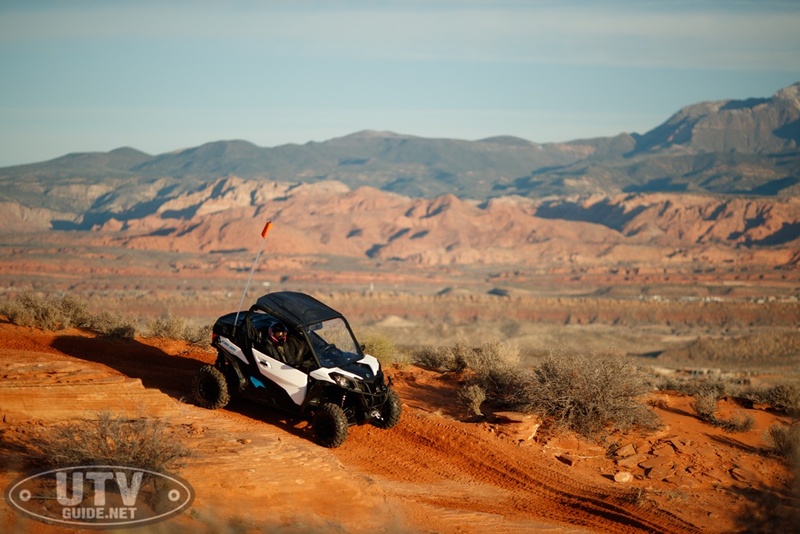 The Maverick Sport side-by- side vehicles are designed to entertain the trail and desert rider with impressive agility, off-road performance and all-around composition. To outperform the competition, the Maverick Sport family supplies resilient power, reactive agility and precision control. 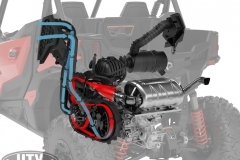 Two Rotax V-Twin engines supply the new Maverick Sport family more than enough clout to impress in a wide variety of off-road conditions and terrain. Meticulous engineering results in predictable and adaptable handling that requires minimal effort from the driver while also offering a sizeable contact patch for optimal traction. 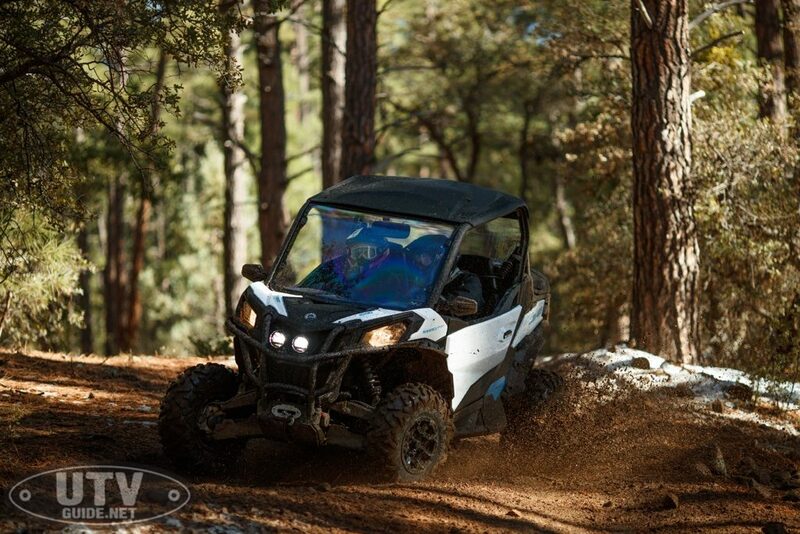 Whether it’s a rebellious adventure or a deliberate stroll through the pines, the Maverick Sport allows all forms of enthusiasts to enjoy the journey. Call it the modern cure for the unadventurous. A large radiator keeps the Maverick Sport side-by- side vehicles running at optimal temperatures even in the most challenging terrain. 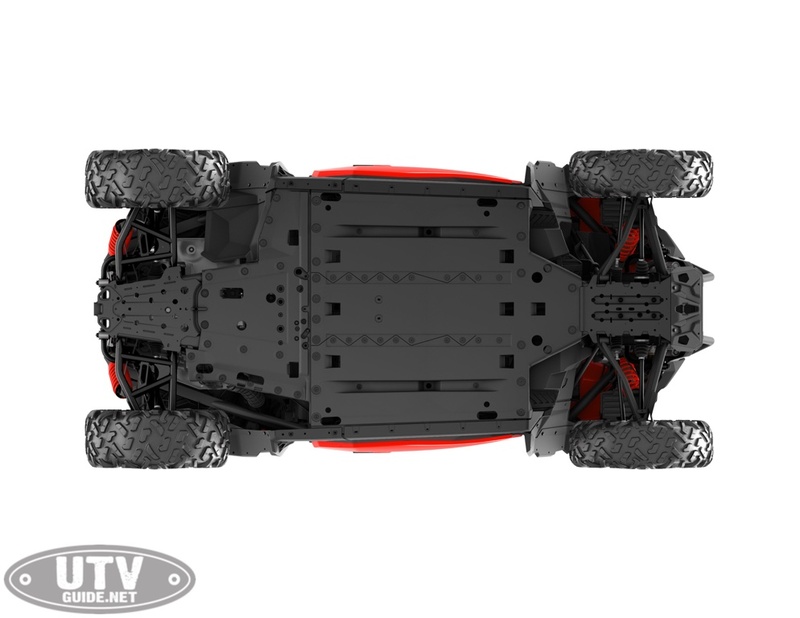 The CVT was outfitted with appropriate ratios to deliver optimal torque for the Maverick Sport family and include gear selections for P / R / N / H / L. The system includes integrated electronic belt protection for reassurance out in the sticks. The gear-on- gear rear differential means increased responsiveness and less required maintenance. 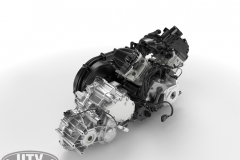 The helical gear transmission, combined with the CVT rearward location ensures a quieter environment for the occupants. 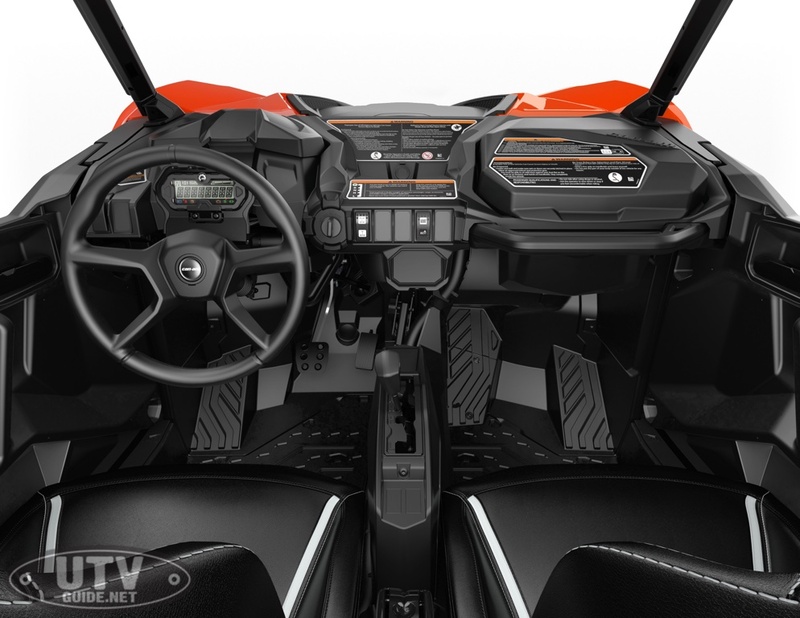 The Maverick Sport side-by- side vehicle’s driver seat can be adjusted to fit the operator’s needs. The seat adjusts both 5-in. / 12.7 cm (front and rear) to adapt to drivers of all sizes. To connect the occupants with the vehicle, especially in the cockpit, the Maverick Sport side-by- side vehicle’s seats are designed to encapsulate the driver and passenger, further connecting them with the vehicle. The Maverick Sport vehicles feature a roomy cockpit and ample cab space, designed to lead thesegment in leg room, shoulder space and overall comfort. Taking comfort to new heights, ourengineering and design teams spent additional time crafting a spacious cockpit toaccommodate 95 percent of adult males out there. 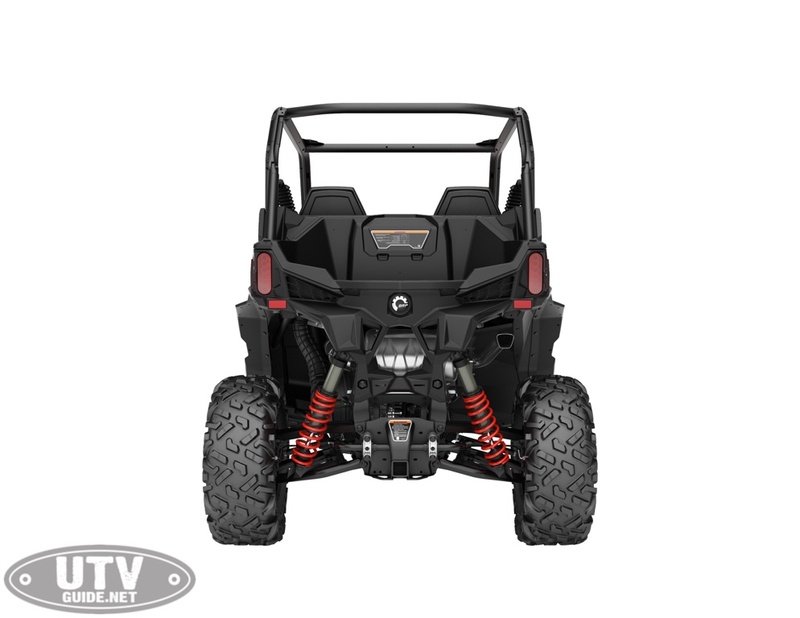 The Maverick Sport vehicles offer 2-in. moreleg room than their closest competitor, which means even taller drivers will enjoy the ride. Theroomier cab was configured to comfortably accommodate two adult occupants withoutsacrificing the vehicle’s precise and nimble handling. The chassis incorporates automotive standards, which means less vibration, additional comfortand advanced air flow to the occupants. An integrated front heat deflector ensures the cockpit remains cool, even when the trailconditions are demanding. 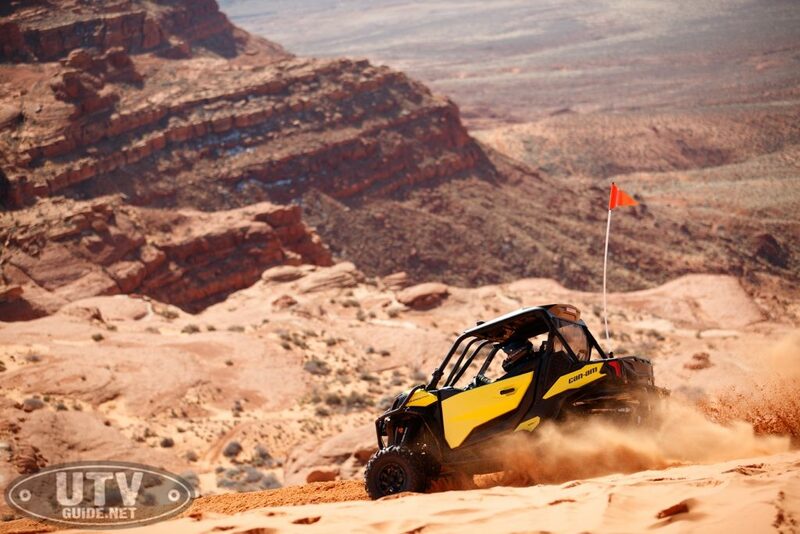 Like all Can-Am side-by- side vehicles, the new Maverick Sport has a superior fit and finish, inside and out, to outrun the competition and satisfy owners from around the globe. Our research and development teams design, test and analyze fitment with the end user in mind. 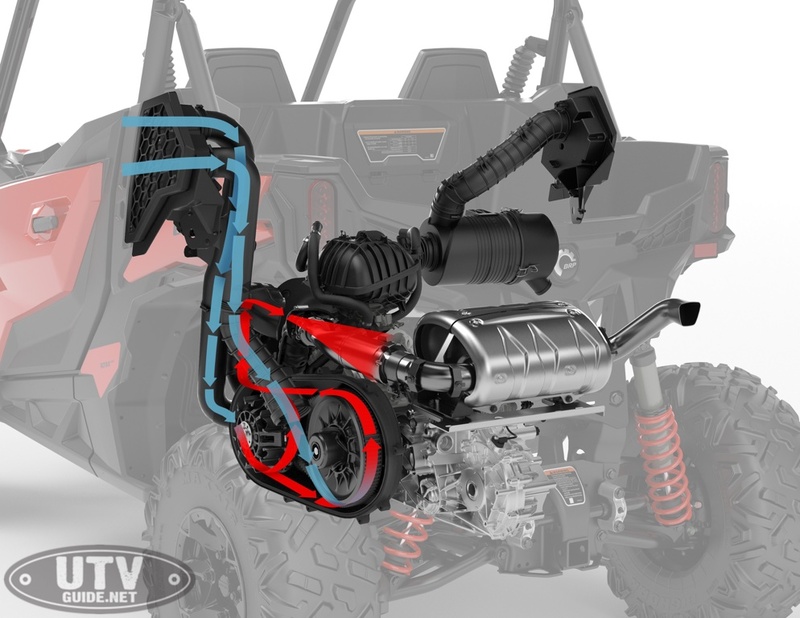 The Maverick Sport vehicle’s cage was profiled to ensure proper integration with our line of Can-Am PAC accessories. To date, roughly 140 some accessories will fit the Maverick Sport to allow owners to customize their side-by- side to their needs and wants. 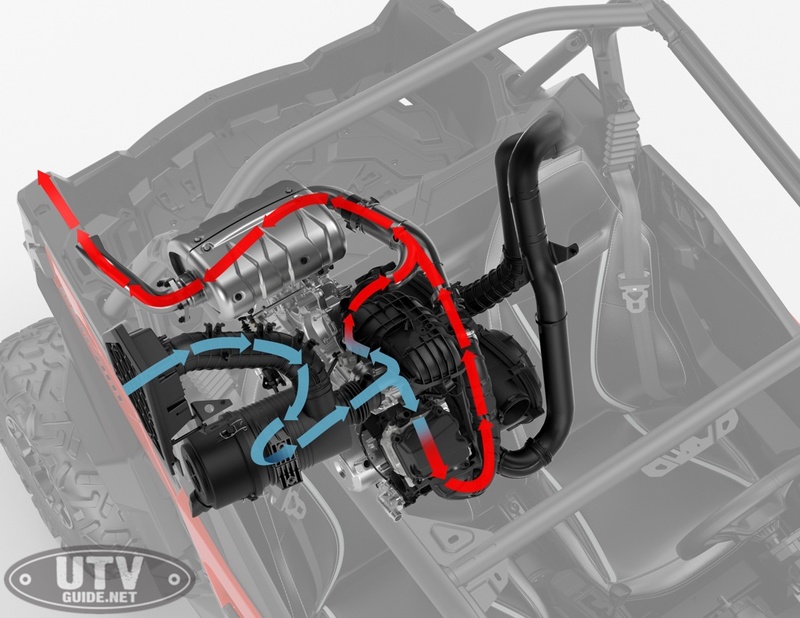 The maintenance-free, throttle-by- wire system (iTC) teams with a large volume throttle body to produce smooth throttle delivery even if the driver’s foot is bouncing due to the terrain. 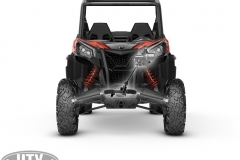 The Maverick Sport DPS side-by- side vehicles have a selectable Sport mode, which offers a fast throttle response for quicker trail driving, and ECO mode for a smoother ride with a more filtered power delivery. 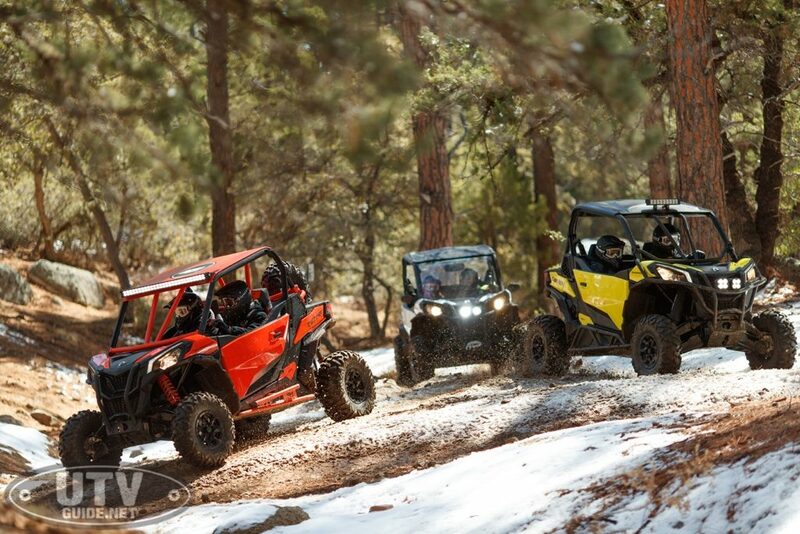 The Maverick Sport family of side-by- side vehicles is game for nearly anything. The vehicle’s all- round abilities instill confidence in the driver and its built-in capabilities combine to make ordinary challenges seem simple or the more difficult ones seem almost routine. 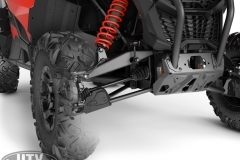 The newest Maverick family member is spot-on when it comes to off-road exploration thanks to its ultra- resistant chassis and a suspension designed for performance. The Maverick Sport offers straightforward handling, with accurate power steering, taking the driving and riding experience to the next level. This skillful disposition combined with class-leading comfort, supreme traction, a spacious interior and Maverick styling inject more enjoyment into the ownership experience. Thorough testing methods from the engineering team determined front-to- rear vehicle weight distribution is optimal at 42% / 58%. This setup, factoring in the rear-mounted engine and occupants at the center of the chassis, produced a driving package that can supply comfort, stability and control as well as predictable point-and- shoot handling. and wears FOX 2.0 Podium gas-charged shocks to deliver outstanding trail comfort, whether it’s a slower crawl or recreational ride at trail speeds. 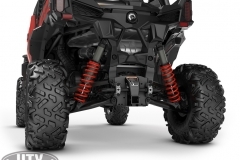 The rear shock location also allows for easy access to the powerpack. 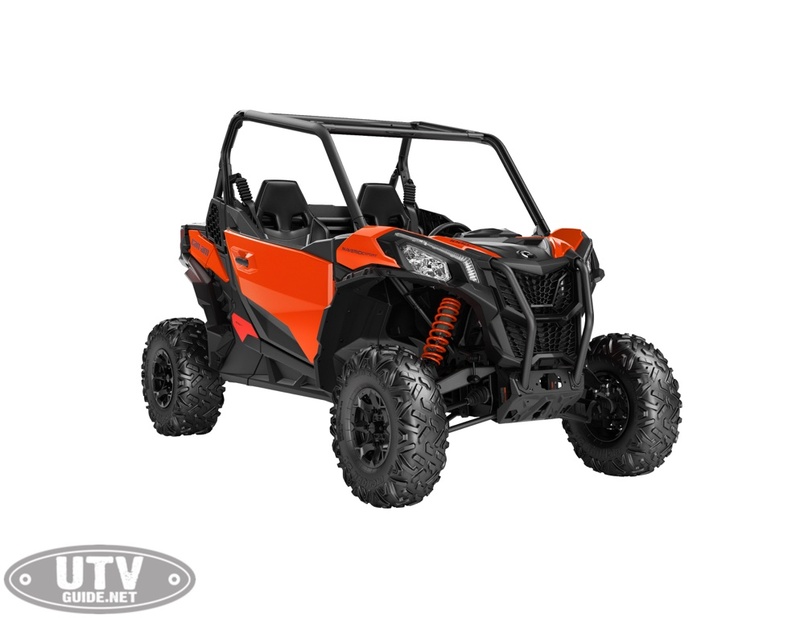 The Can-Am Maverick Sport side-by- side vehicles use an advanced ultra-light, rigid chassis made of durable, lightweight Dual-Phase 980 steel and high-strength low alloy (HSLA) steel for enhanced strength and added torsional stiffness. engines, two available driving modes and a natural DPS system tuned to deliver confidence- inspired handling in both low- and high-speed precision driving settings. When you’ve been asked to alter a certain segment of the industry, you better bring your A game and then some. 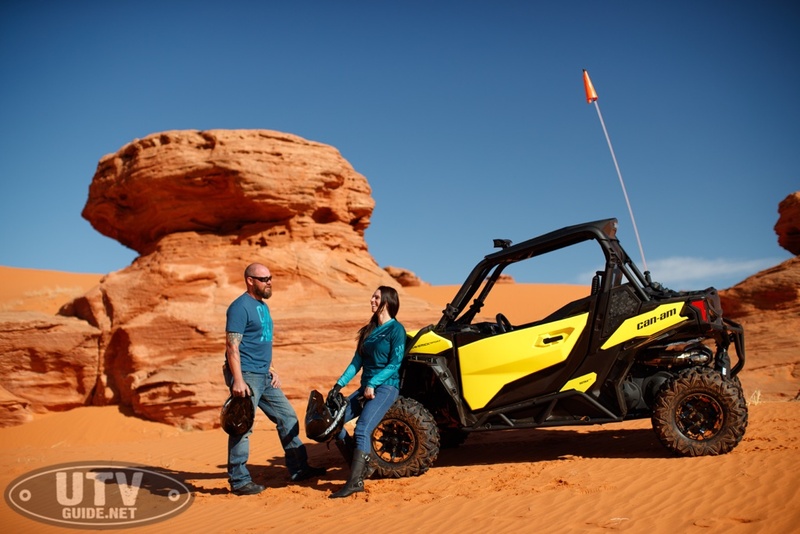 With design influences from the Maverick X3 and Maverick Trail families, and deeply rooted Can-Am DNA, the Maverick Sport vehicles are made to exceed industry demands and exude confidence, inside and out. The Maverick Sport offers a perfectly tuned setup, one in which the driver feels connected to the vehicle and its every move. 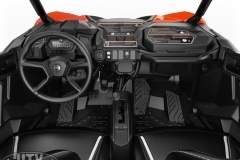 From the Ergo-Lok cockpit to the sport calibrated suspension, accurate handling and impressive power, the Maverick Sport transmits its own self-assurance to the driver, resulting in pure connectivity and enjoyment. This seamless comfort and unmatched control boost confidence, so the driver can experience performance that is as precise as it is predictable. 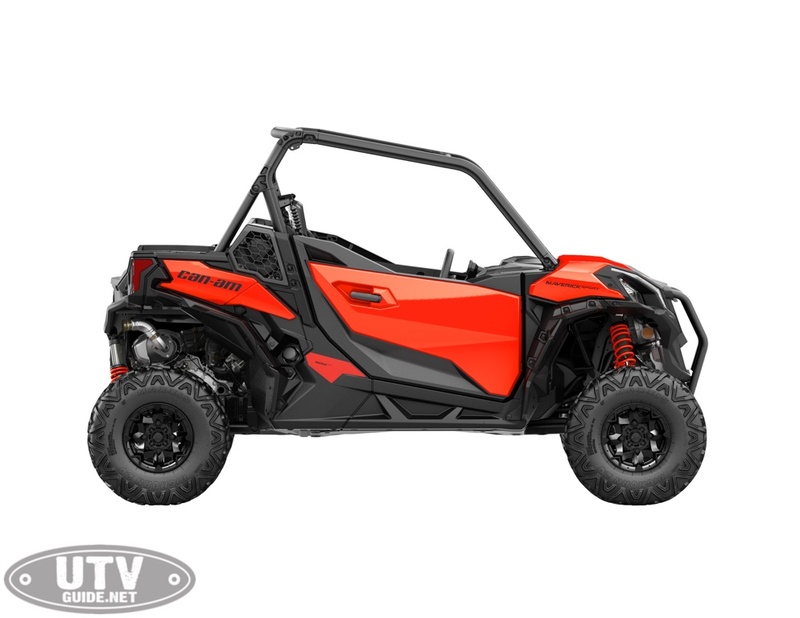 The Maverick Sport side-by- side vehicle is as composed as they come. It has no fear of challenges or challengers. 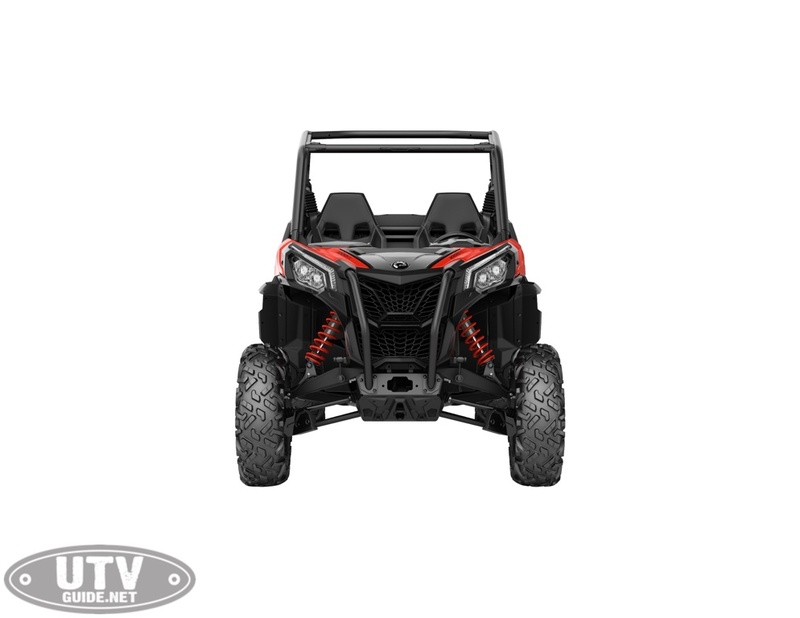 Its internal determination blends well with its exterior fortitude to offer a vehicle that can adeptly balance the need to be bold, courageous and controlled all on the same trail ride. 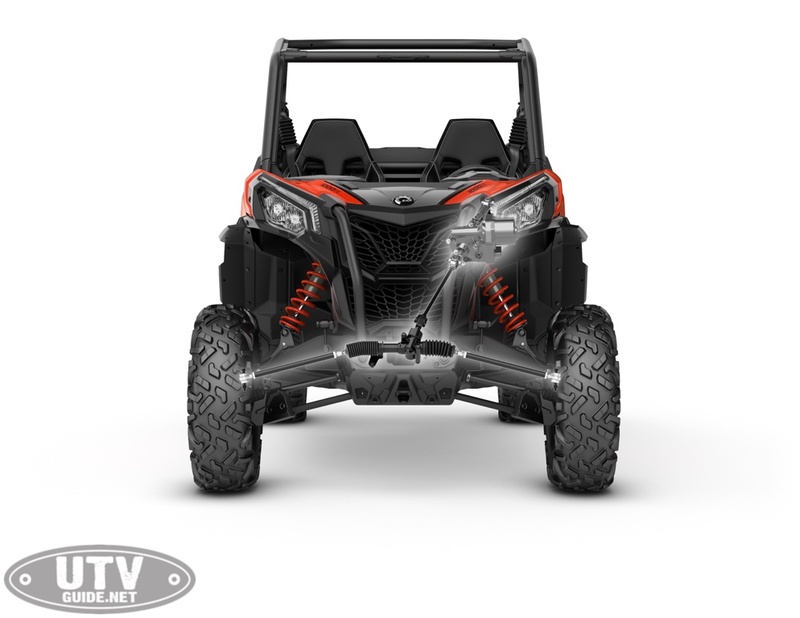 Designed from the factory for off-road treks, the Maverick Sport vehicles also offer built-in protection for peace of mind and safety. Add in a do-it- yourself friendly configuration, that includes extended maintenance intervals, and you get a durable vehicle that lets owners fill their calendar with countless adventures. 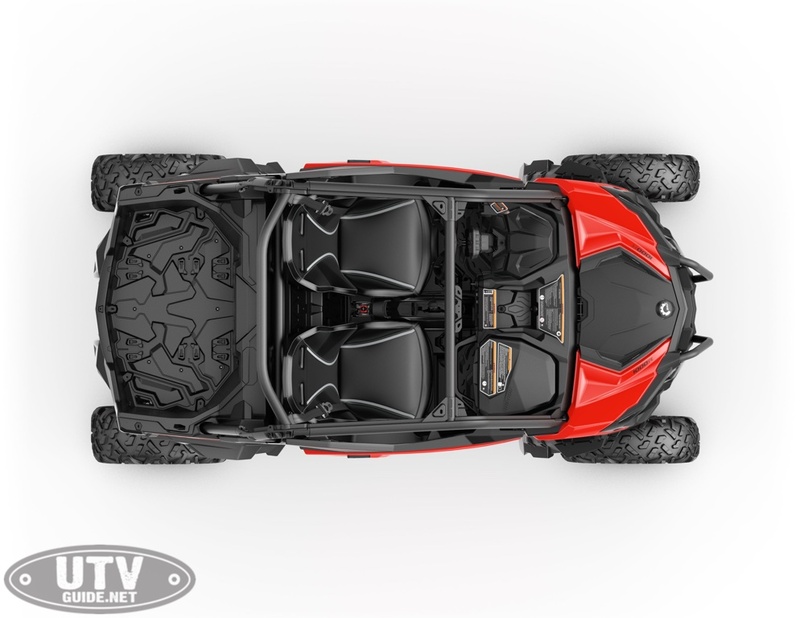 All Maverick Sport side-by- side vehicles include integrated mudguards for added form and functionality. The durable mudguards offer seamless integration and also added protection from mud and other trail debris for the occupants. For the first 1,800 miles (3,000 km) the Maverick Sport side-by- side vehicles are designed to be maintenance free and no break-in maintenance is required. 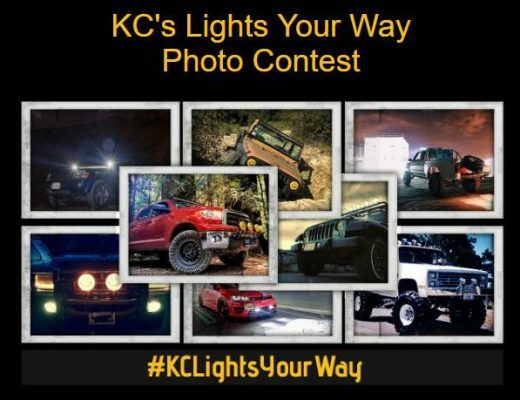 abilities so they focus more on creating lasting off-road memories. Maverick Sport: DARING.